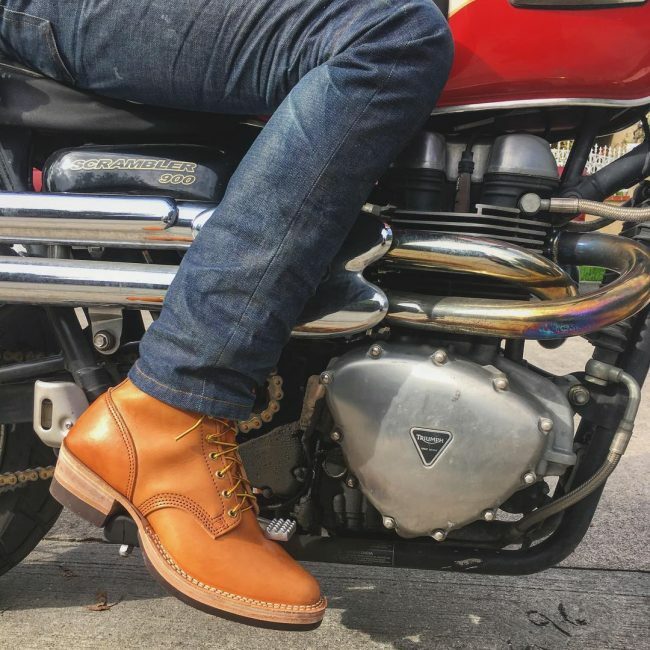 Wesco boots are one footwear that fascinates many men. It’s a sure-fire wardrobe designed to take a beating and provide maximum protection. 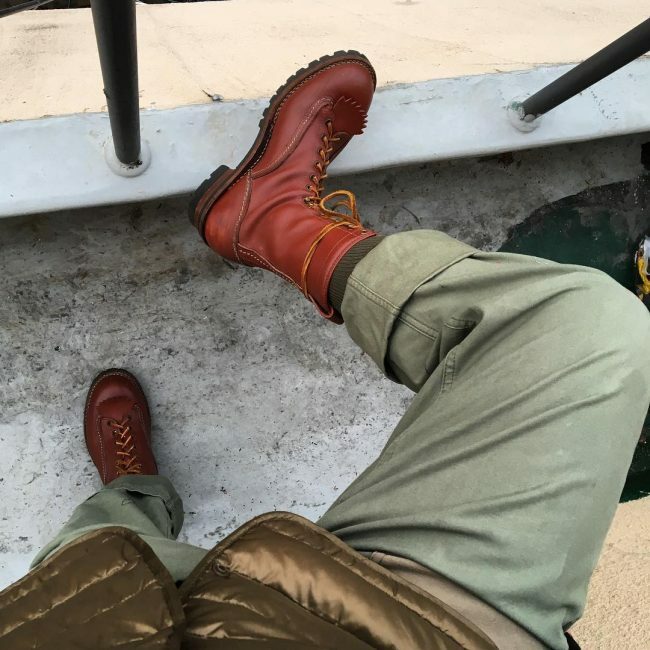 These boots add a sense of style when paired with casual outfits and give you a peace of mind while traversing rugged terrain. 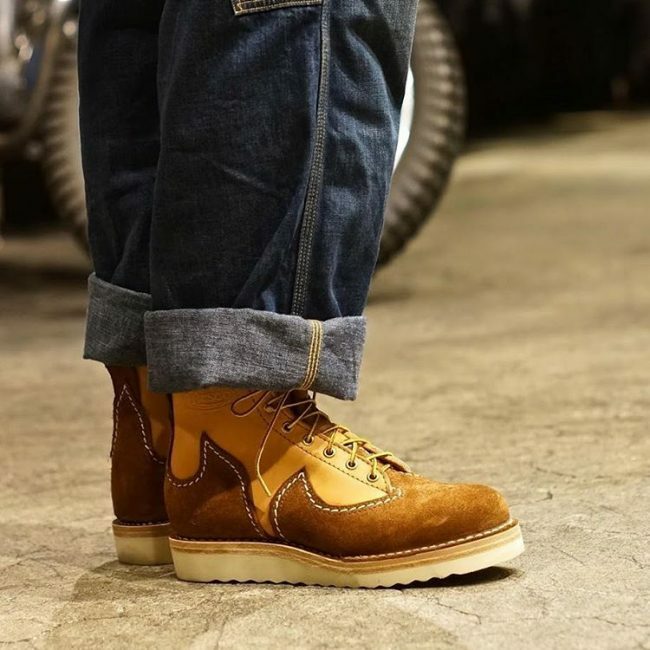 There are lots of different combinations that can work with Wesco boots. 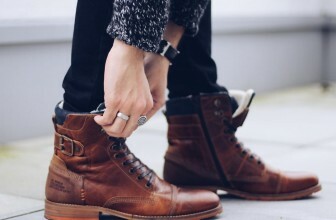 Below, we look at 35 ideas on how to style this tough and trendy footwear. 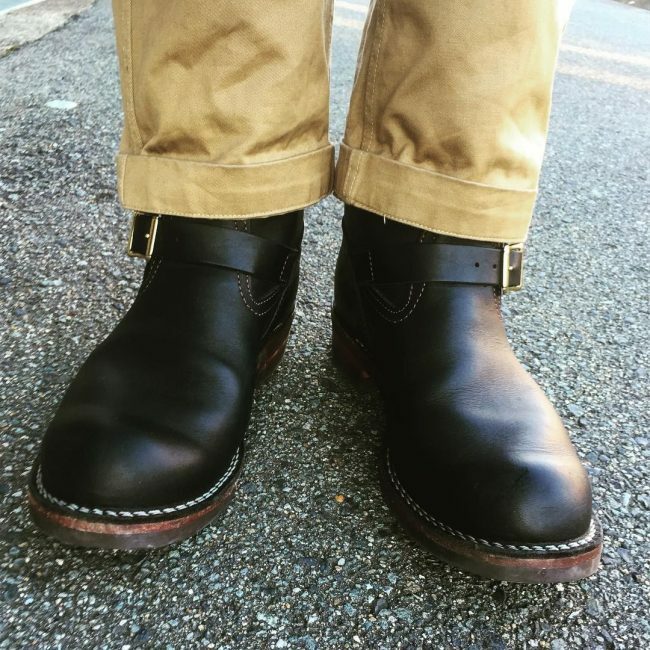 Settle for black red wing boots that provide the protection of unblown false tongue. Create some contrast by opting for beige laces and a light brown band along the outer sole. 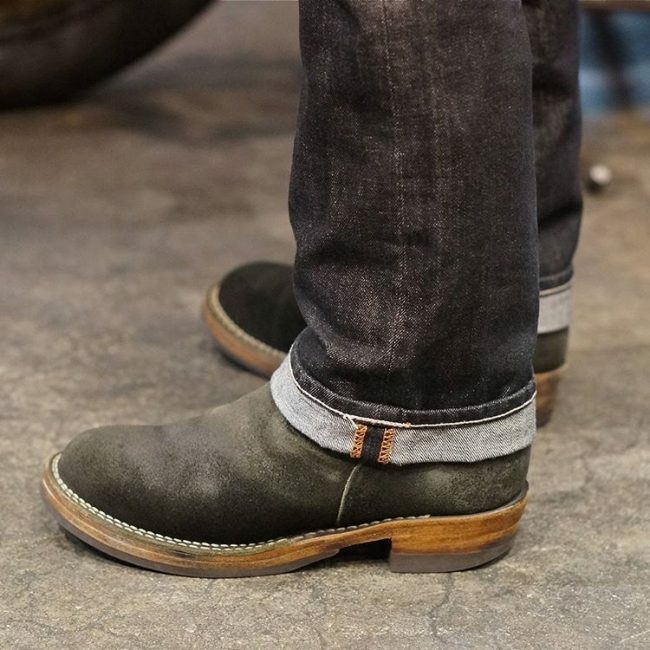 Wear the boots with tough green roll-up selvedge denim pants. Go for a tough wear sporting dim grey selvedge denim pants that have a slim taper cut. Give the pants a slight roll up and pair with brown boots that sport the glow of golden laces. Add a striped black and red sweater and you’ll be good to go. Sport a well coordinated outfit featuring beige Jobmaster boots. Give it the golden touch of yellow laces and settle for black single knee painter pants. Add a beige turtle neck sweater and finish in a blue crew tee cardigan. 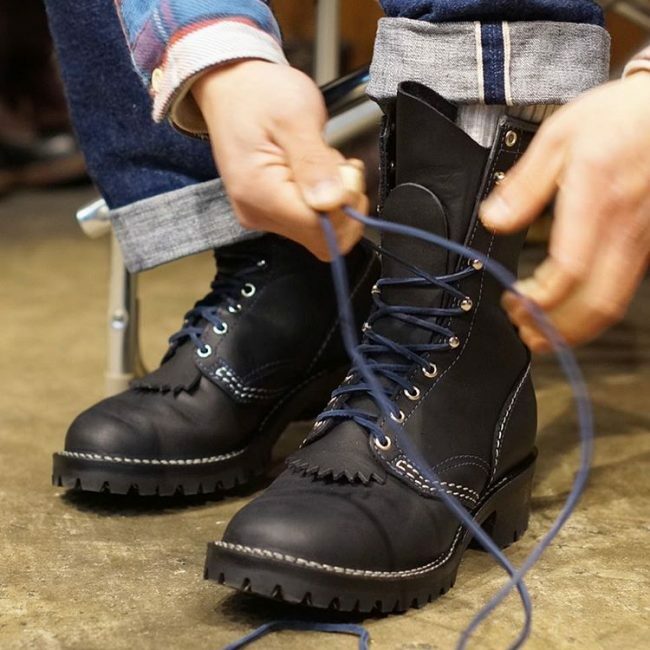 Stay protected and withstand the harsh terrain with black Jobmaster boots sporting a false tongue and blue laces. These boots give the sparkle of silvery ringlets and white stitches. Add to the toughness by pairing with blue roll-up jean pants. Overcome the unforgiving mountainous terrain in brown russell moccasin boots that sport silver metallic ringlets and white stitches. Settle for a blend of white and brown for the laces and add tough blue roll-up pants. 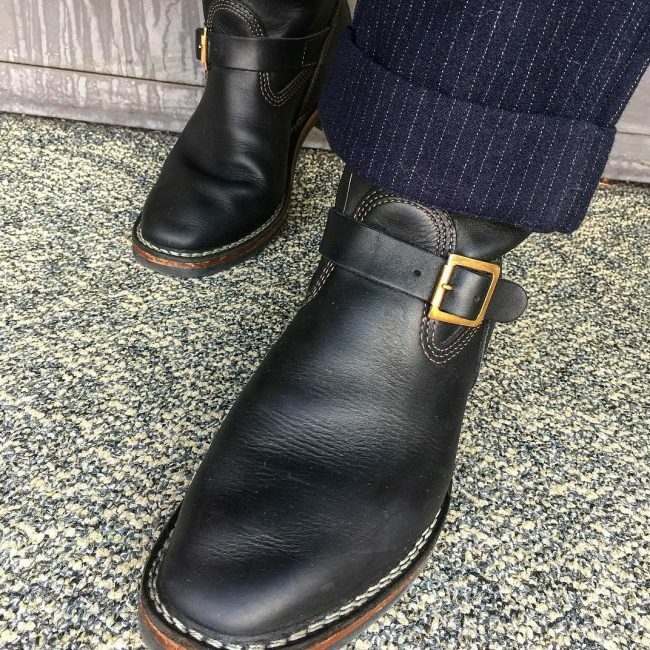 Sit cool in black customized boots sporting wide toe caps and a brown band along the outer sole. Wear with blue straight roll-up jean trousers. Add a black weatherproof jacket to give extra protection from the elements. Choose to go freaking cool and tough in black boots that sport blown false tongue. Add some light with white laces and stitches. Wear with blue frayed hem jean pants for that freakish yet cool combination. Get a momentous riding experience in brown trigger boots that have golden laces. 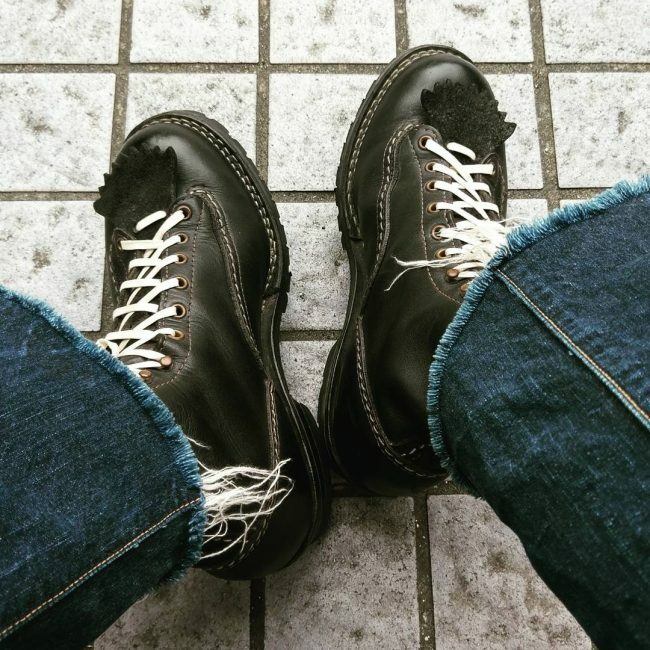 Wear these badass boots with tough jean pants and a tartan shirt. Stay comfortable and protected in high ankle engineer boots made of moon leather. 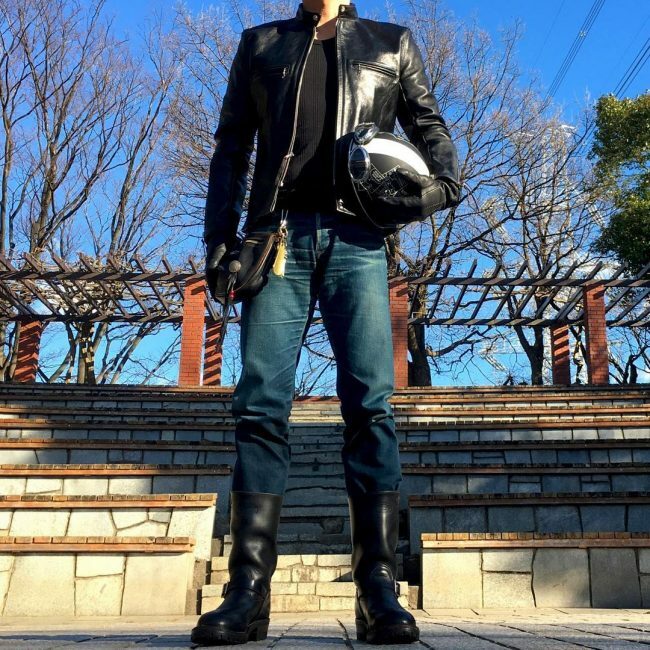 Add the toughness of jean pants and black leather jacket. The result is a tough wear that’s designed to take a beating. Go retro and tough in black boots accented with white stitches. Add some extra vintage look by sporting beige roll-up pants and a pinstripe shirt that’s paired with a grey jacket. Go a little bit golden in light brown boots sporting blown false tongue and lifted outer sole. Add the golden accent of yellow laces and sport the tough combination of blue jean pants. Ditch the polished leather boots and settle for the luxurious suede finish. Choose to go black and sport beige accents on the laces and mid sole. 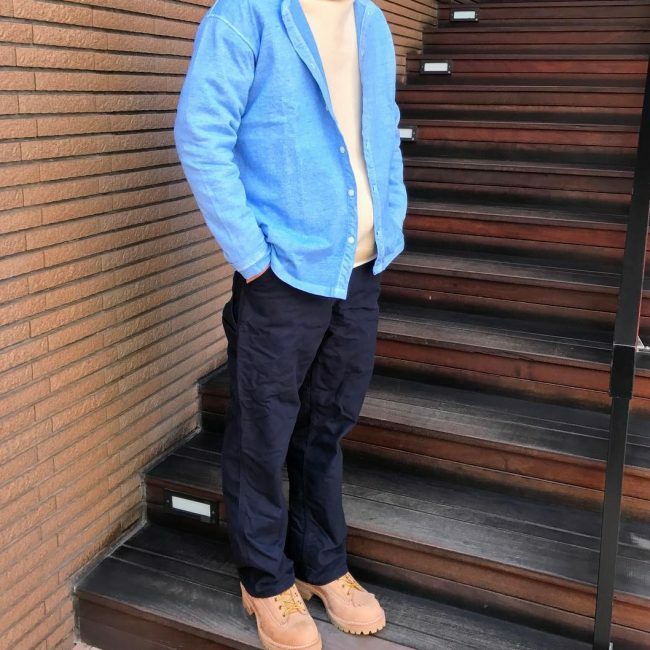 Maintain the toughness by adding blue roll-up jean trousers. 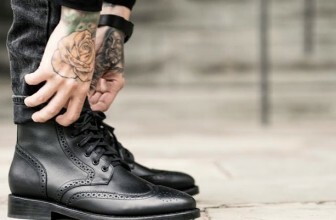 Sport customized Robert Williams wingtips made of smooth leather. These boots provide a cool blend of green and black. Choose the same color combo for the socks and finish in straight jean trousers. Have a good time in brown boots made of mole skin leather. Get the unique look of the raised front and add more color with golden laces. 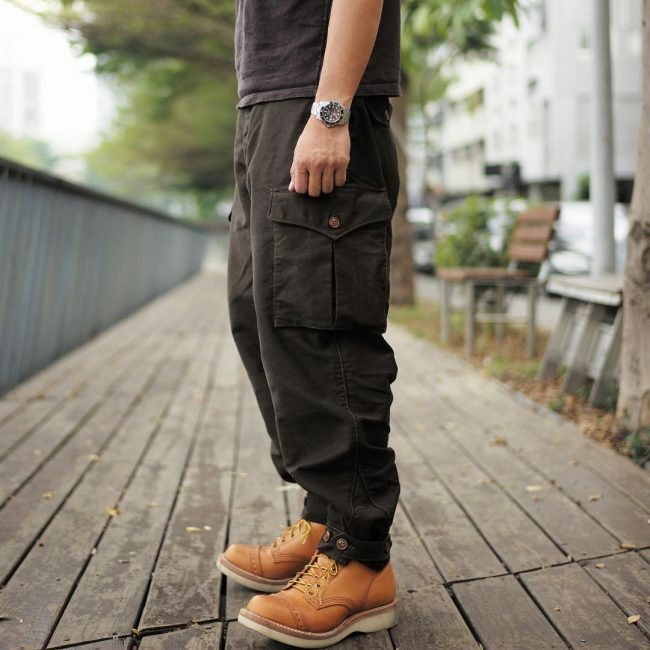 Go casual by pairing with side pocket pants and t-shirt. A fresh look to your tough outfit can be a great plus. Achieve that by settling for burgundy leather boots sporting dark shades on the outer sole. Pair your boots with that fresh blue jean pants. Go tough in a cool winter wear sporting beige leather boots that have dark outer soles. Pair with black straight jean pants and get the warmth and protection of a black quilted jacket. 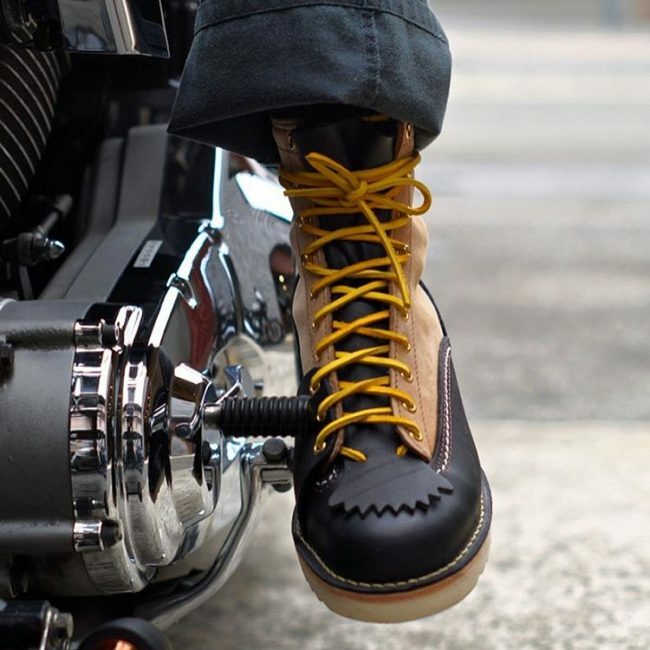 Stand out in customized motorcycle boots that give the protection of false tongues. Take pride in its cool accents of black and beige that are given the glow of golden laces. Let the boots sit great by pairing with black roll-up trousers. 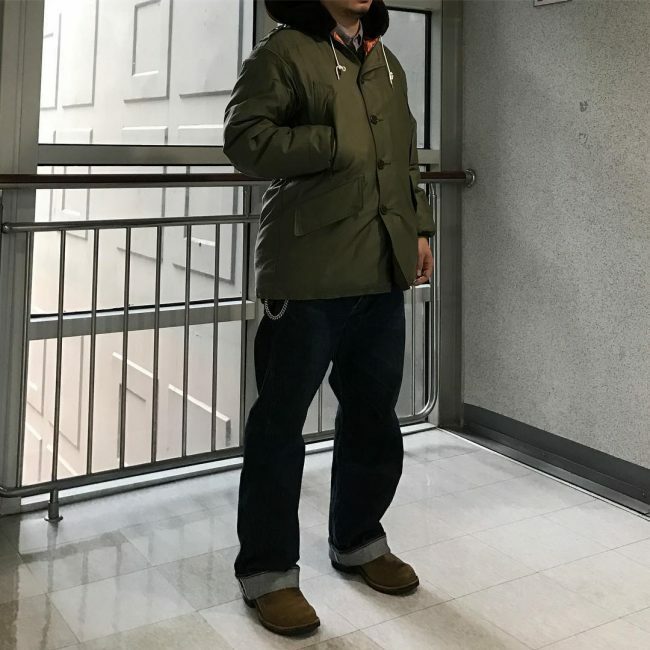 Brave the winter in army green parka jacket. 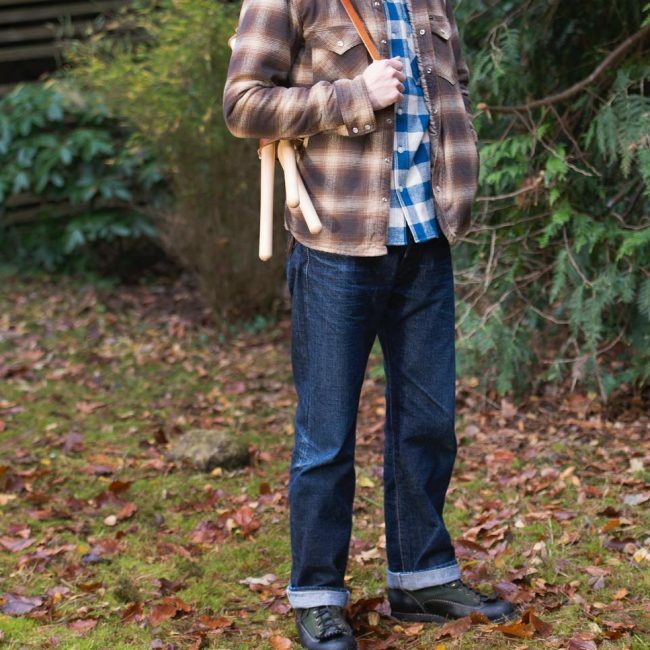 Wear this weatherproof jacket with dark roll-up jean pants. 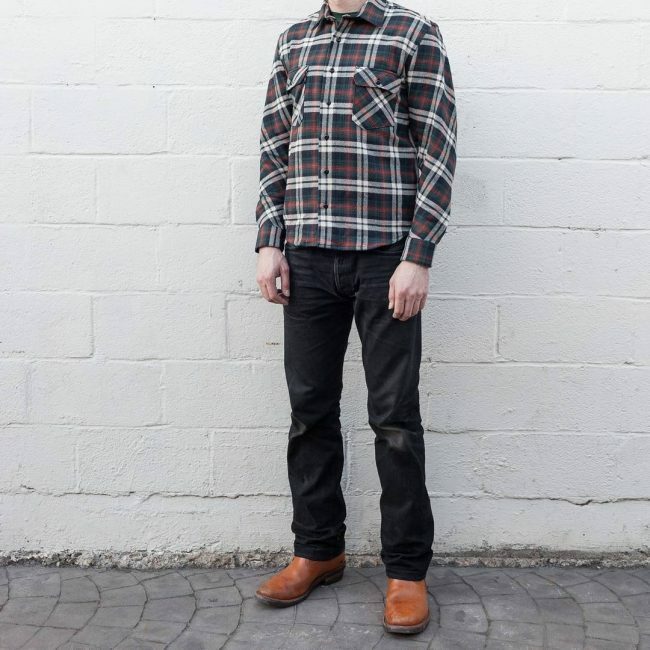 Tame the rugged terrain by adding brown boots that sport black outer soles. 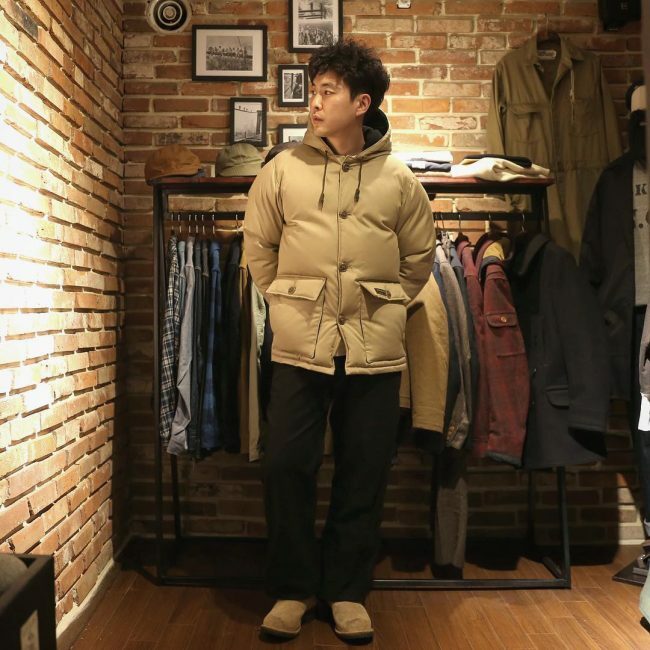 Go for a cool jungle wear sporting beige boots and beige parka jacket. 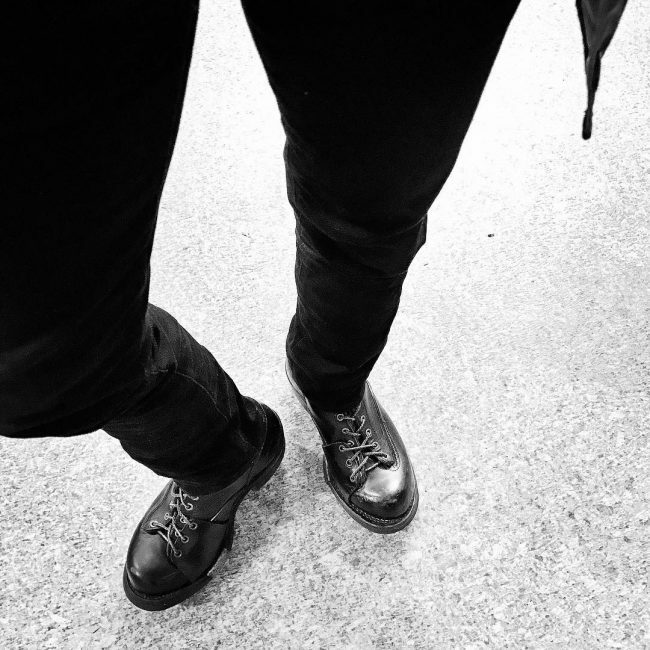 Make it extra tough and weatherproof by settling for black parka pants. The result is one cool combination designed to take a beating. Sport the coziness and toughness of black handmade boots that feature blown false tongue. 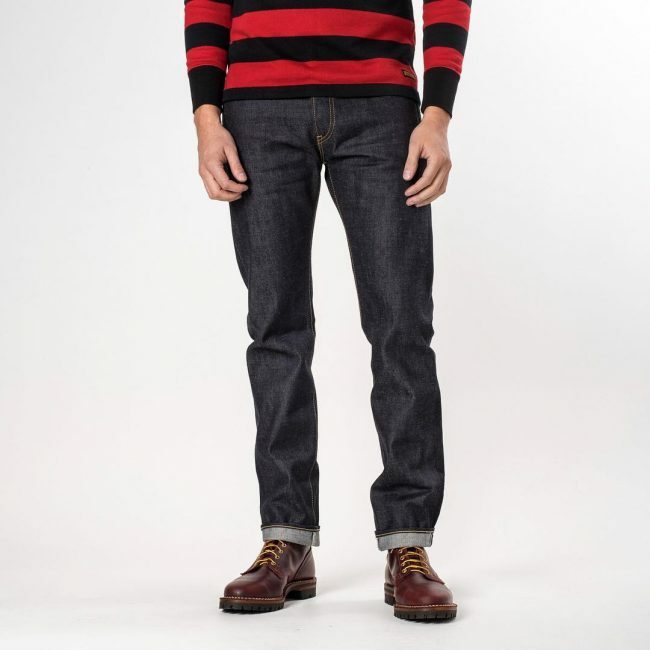 Pair with jean pants and add extra warmth by sporting two flannel shirts and red knit cap. 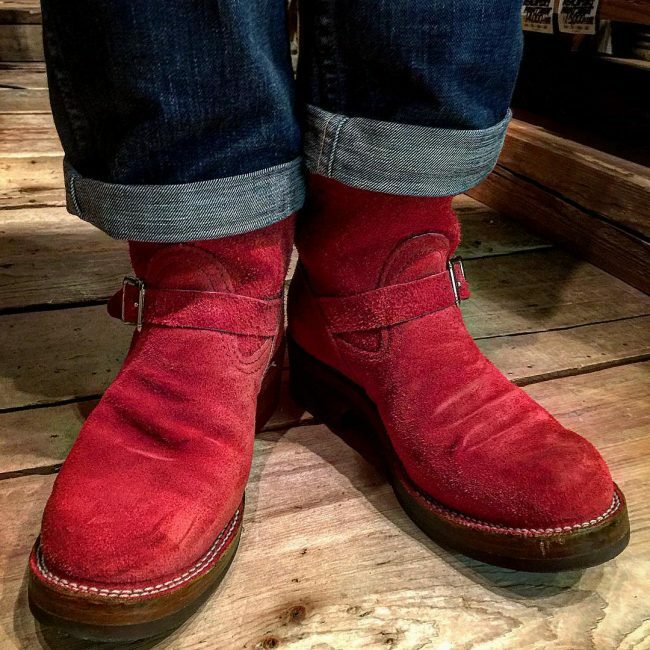 Settle for the vintage look of red wing boots made from horse hide. Sport the dark accent of black laces and pair with tough jean trousers. Achieve the extra length and toughness of black highliners made of tough leather. Sport lighter laces that create some contrast to the dark shade. Keep the dark shade flowing by sporting black jean pants. Tired of sporting lots of seams in your boots? Choose to go for this dark green boots sporting that even construction. 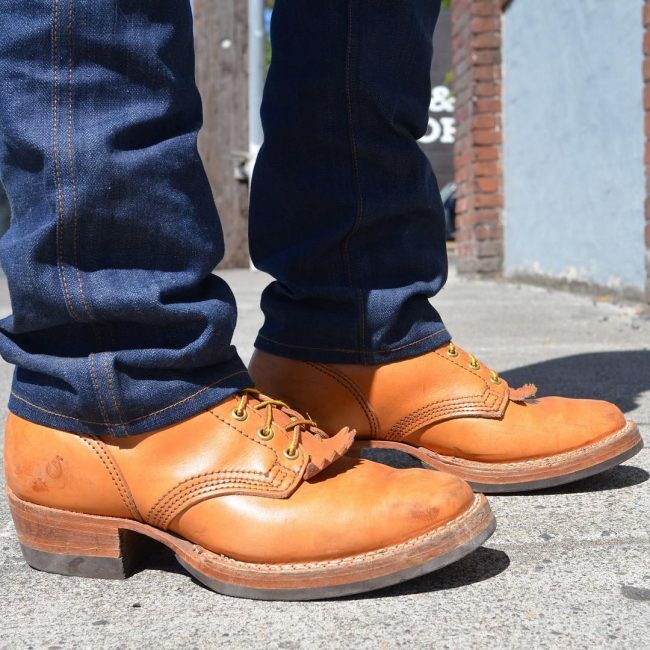 Give them a light brown touch on the outer soles and let everything sit cool by pairing with black jean pants. 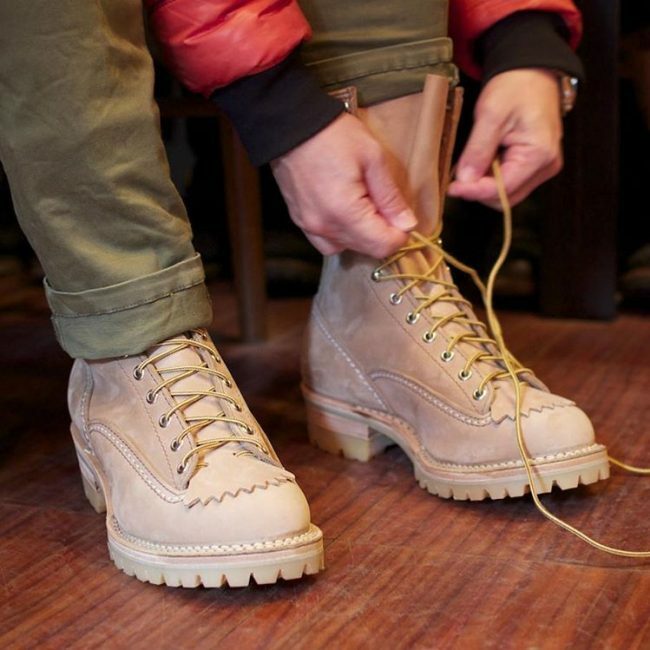 Stand out in beige Jobmaster boots sporting a golden touch on the laces and the protective styling of false tongues. 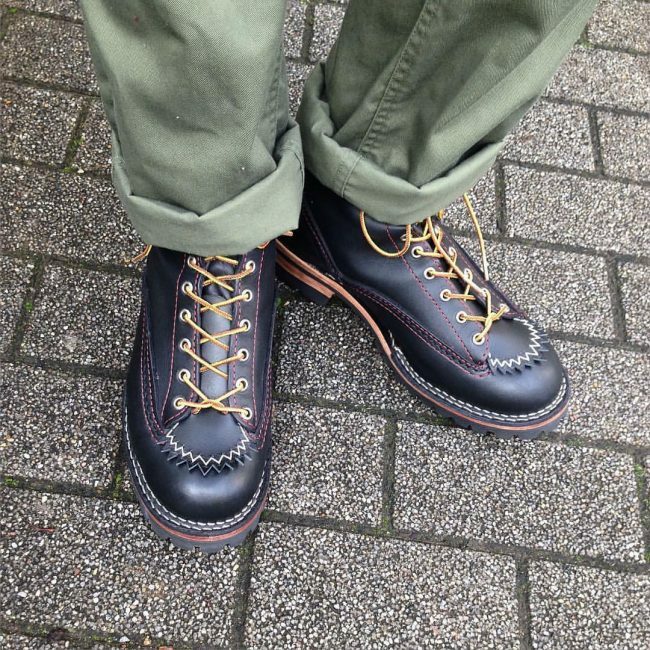 These boots look great when paired with army green roll-up pants. Settle for the olive color sported on a rough out leather. 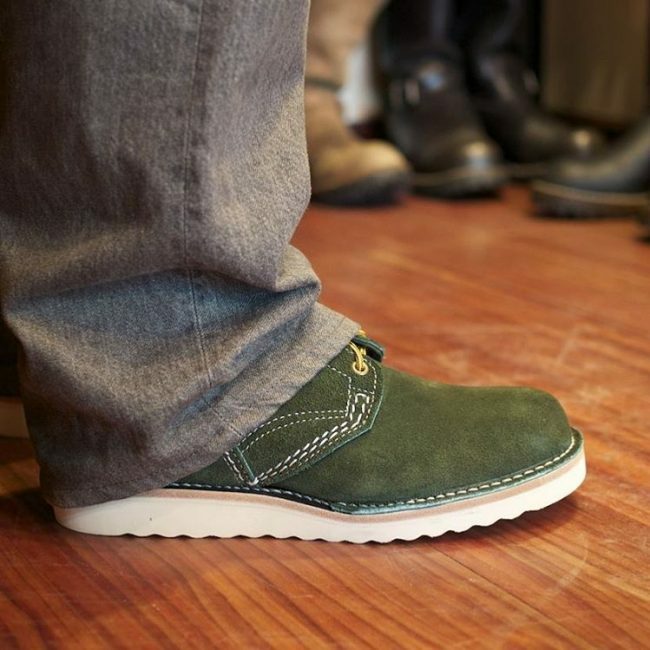 Let the olive upper contrast well with the beige accents on the outer sole. Stand out in its white stitches and golden laces that create that captivating look. 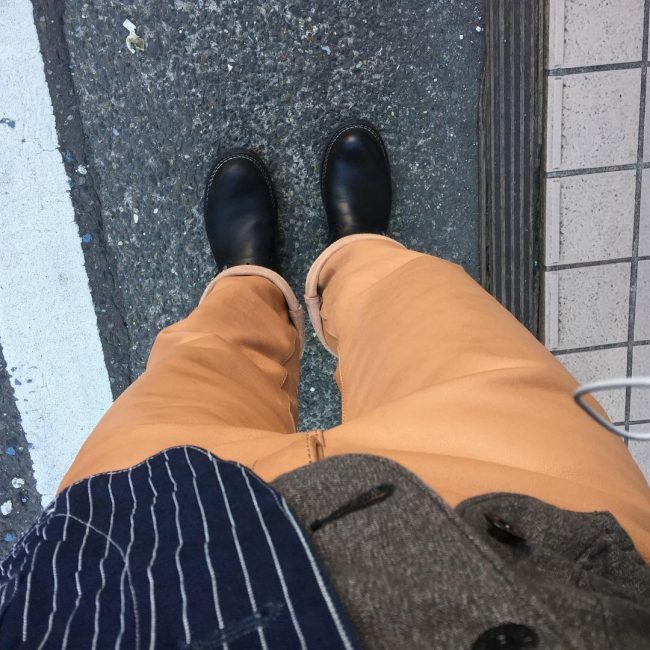 Pair the boots with grey cotton pants. Choose to go for a non-skid and non-marking cannonball boots made of flexible natural rubber. 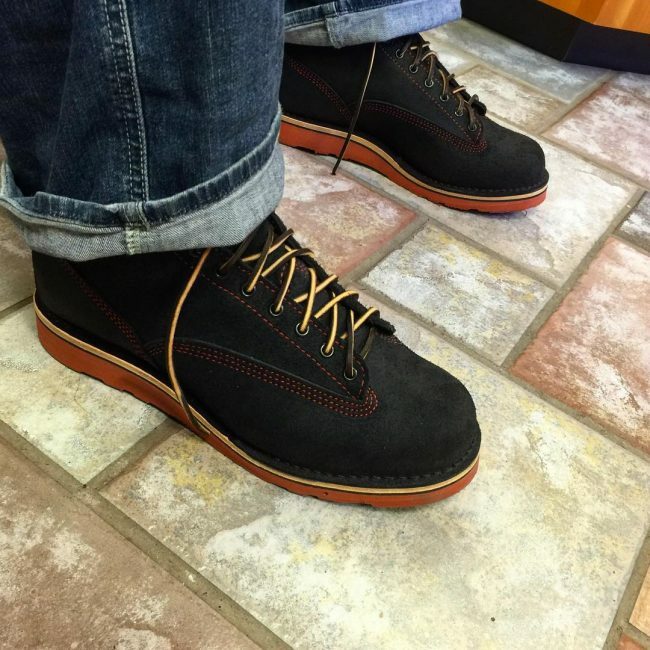 Pair these black waterproof boots with blue roll-up jean pants and get ready to hit the road in style. Sport some variations of brown in your phoenix boots. Settle for the captivating combo of a smooth light brown and dark brown rough out. Sport a beige accent to the outer sole and add some golden touch on the laces. Wear with roll-up jean pants that fit wide at the legs. Take on the harshest treatment with these black engineering boots made of a tough leather. Settle for a buckle-style closure and create some flair with a brown accent on the mid sole. Add a retro touch to your style by sporting blue pinstripe pants that’s rolled up to let you explore more. It can be quite cool to add that tough military touch to your outfit. 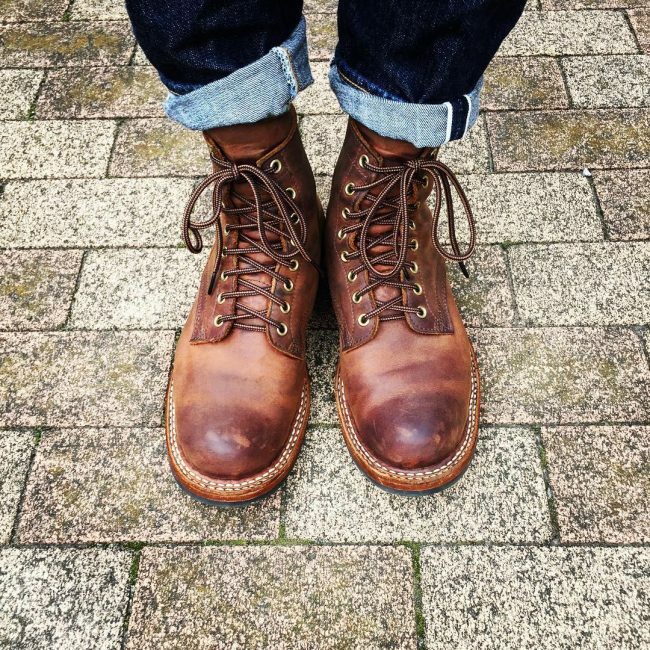 Achieve this by sporting combat-style boots that feature unblown false tongue. Let it stand out by settling for that fresh burgundy look accented in golden laces. 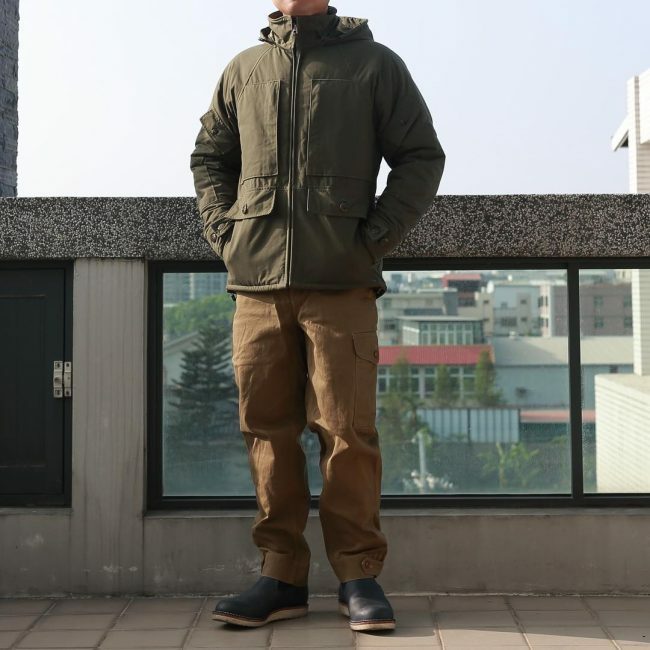 Wear the boost with army green socks and green roll-up trousers. 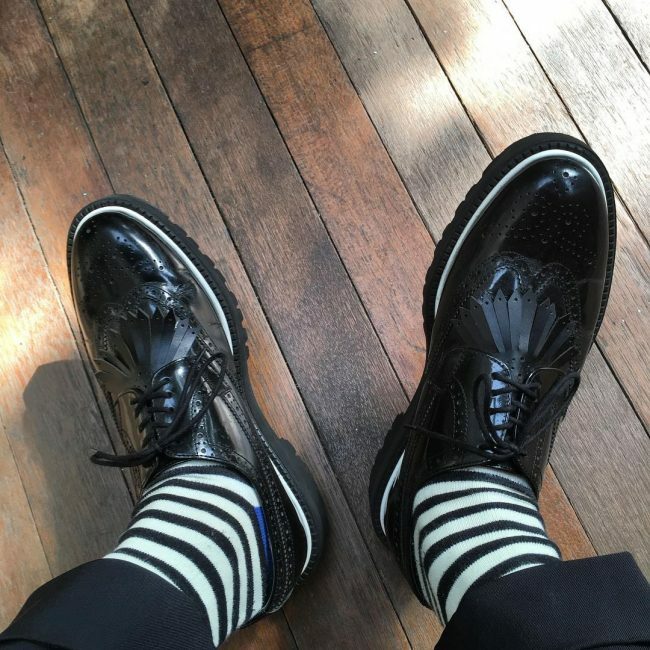 Go classic in zebra style wingtips that come in black sporting a white band along the outer sole. Stand out in its perforated toe caps and unblown false tongue. Keep the zebra look flowing by wearing the shoes with black and white socks. Finish cool in black roll-up trousers. 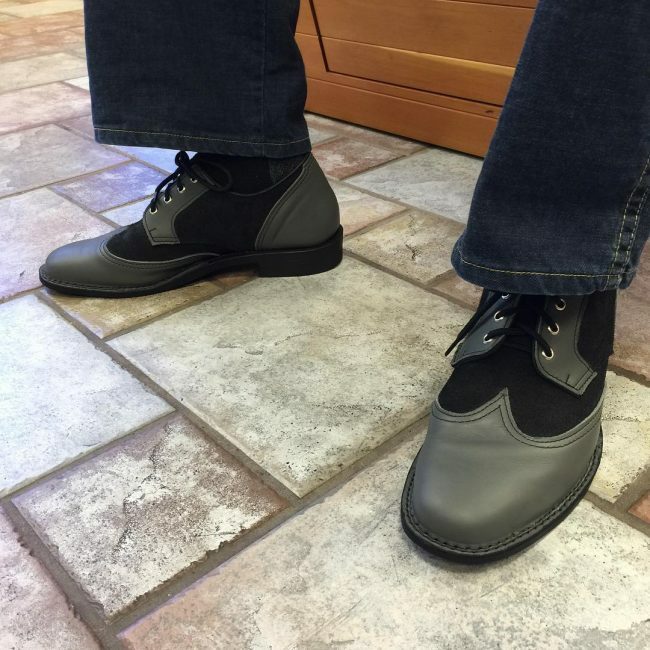 Settle for the smooth leather upper of boss engineer boots sporting a buckle closure. Create some contrast with white stitches and brown shades to the mid sole. 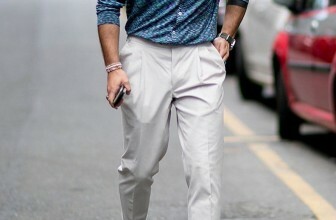 Maintain the toughness by sporting marinated chinos pants. Grabbing some attention is something that you can achieve by sporting vibrant colored boots. 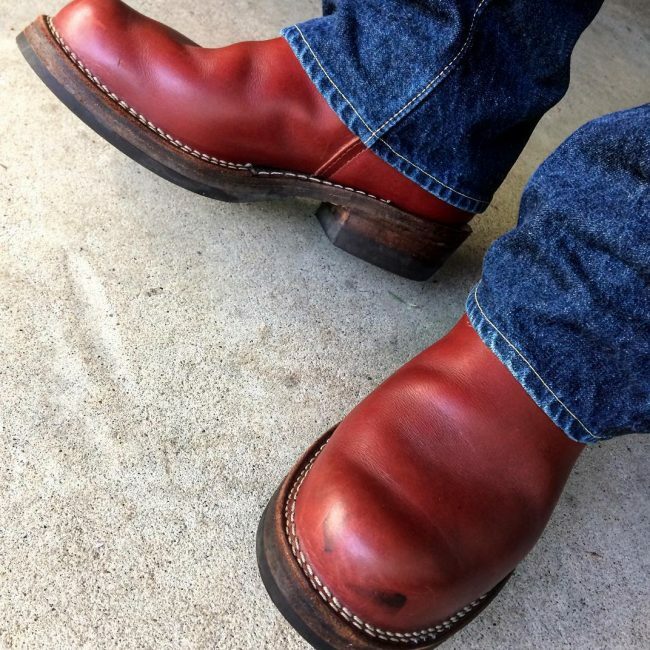 Choose to go for the Wesco Boss rough out boots sporting a vibrant red color and buckle closure. Let the leather upper contrast with brown shades along the outer sole. 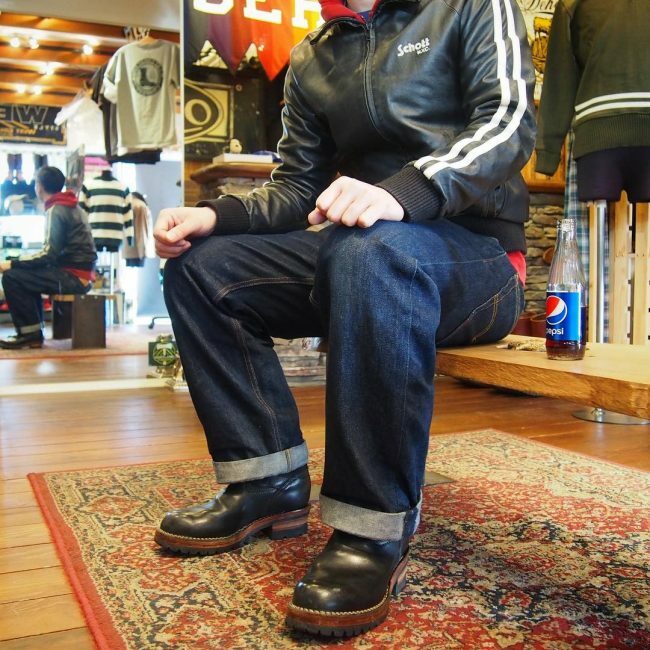 Keep everything looking tough and on point by wearing with jean trousers. Go military style black soft leather boots sporting beige soles. Pair with brown aviator pants and sport a navy green parka jacket. The results is a cool military blend that’s hard to go unnoticed. 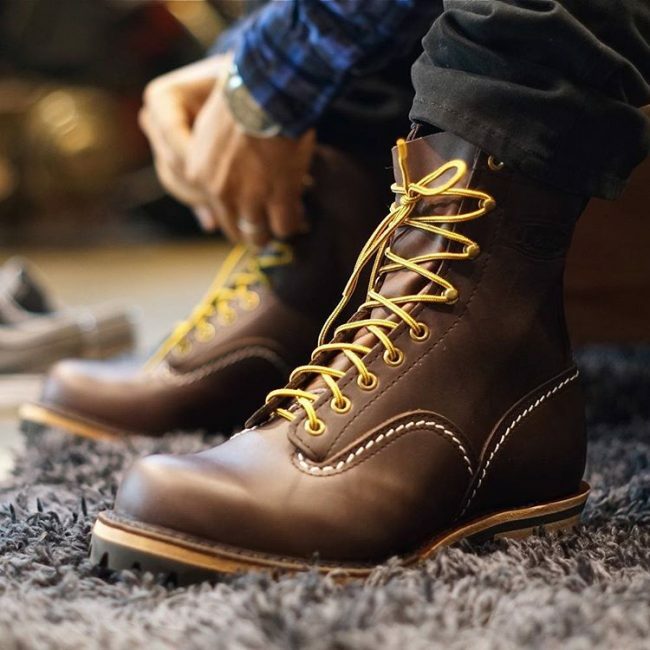 Settle for brown engineer boots sporting smooth leather uppers and dark outer sole. 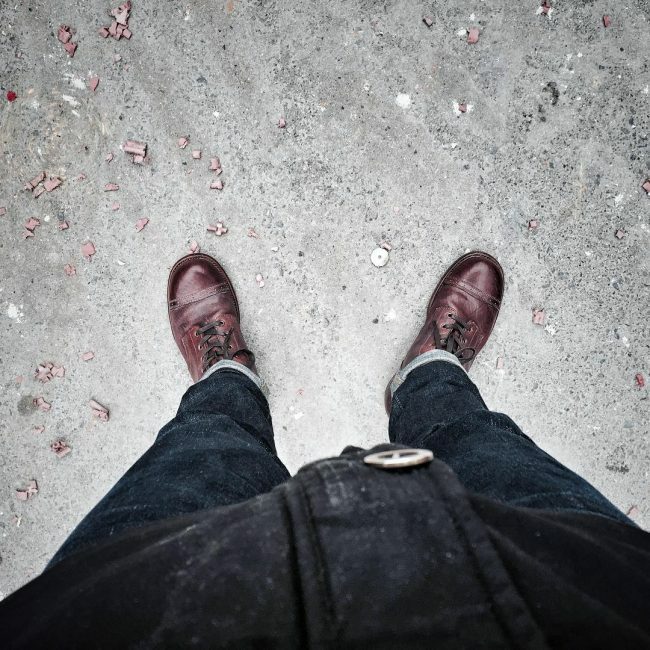 Add a tough black gunpowder selvedge jean pants. Pair with a medium weight flannel shirt to create one cool casual blend that’s designed for everyday wear. 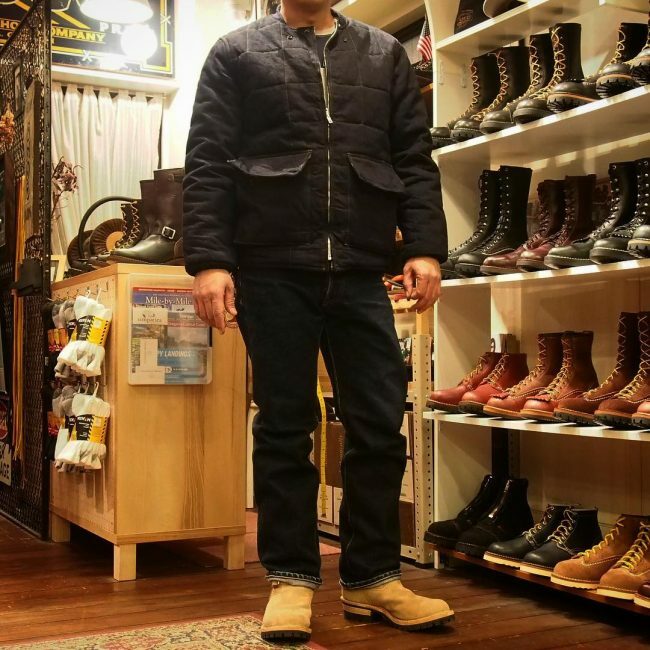 Wesco boots continue to be extremely popular for men. They’ve become almost a must-have for those that desire to go tough and casual while remaining trendy. These are one footwear that you can sport when attending a party or going to the garden. Make a fashion statement by incorporating them into your style!